Our friendly family based team will endeavour to give you the best service possible. Please browse our NEW website and don’t forget to take a look in our Gallery and to have a look at our Testimonials from some very satisfied customers. If your interested in what we have to offer look at our products and special offers or read about our no quibble 5 Year Guarantee on parts and manufacture. All the choice you could need…..
At Bolton Sunblind Centre we pride ourselves on our huge range of products. Whether you are looking to replace old blinds or finish off a design project or conservatory – we’re certain you’ll be able to find the exact blind to match your needs. We have a wide selection of plain fabrics, woven Jacqaurd fabrics, ultra trendy printed designs, stunning voiles and dim out or blackout options where necessary. Plus all our staff are fully trained to measure and then fit your blinds expertly, so you can just relax and let us take care of everything. Just some of the reasons you should consider Bolton Sunblind Centre for your conservatory blinds. 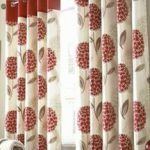 Looking for blinds in Bolton? We offer a superb range of contemporary and traditional blinds that will truly transform the look and feel of your home. Whether you require roller blinds or vertical; roman or venetian, you are assured of a first class blinds in Bolton service. The products we use are of the highest quality, ensuring the blinds you choose will be made to fit perfectly, with an outstanding 5 year guarantee on all products and fittings. Our selection of roller blinds offer versatility, with the accent on style and simplicity. 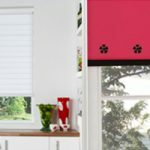 Ideal in particular for kitchens, bathrooms and conservatories, roller blinds are actually an extremely popular choice for any room in your house! Choose from an impressive array of fabrics and colours, with designs that will transform your home and perfectly accompany your existing décor. A classic blind, vertical blinds are enjoying a resurgence in popularity with homeowners. We offer a huge choice of fabrics and different colourways that will perfectly encapsulate the look you desire for your chosen room. With versatility and longevity they can be used in a variety of rooms- vertical blinds are an attractive alternative. Choose from modern or traditional vertical blinds that come with a vogue headrail as standard, giving your home a stunning transformation.